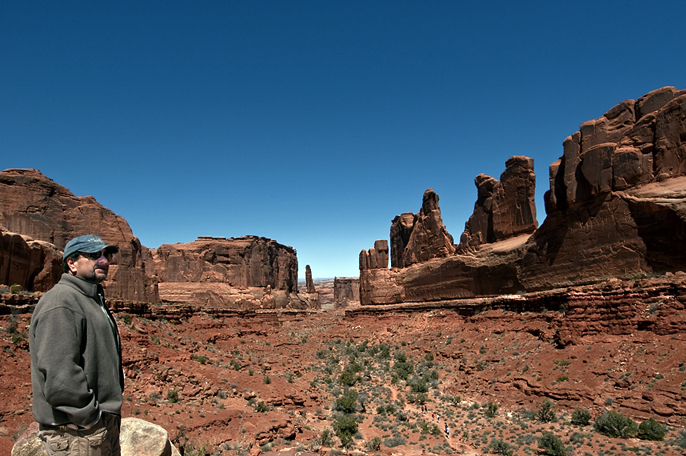 This is a shot of Brad admiring the expansive formations down Park Avenue in Arches National Park. They really are like skyscrapers. We have toured the park two days and keep finding new and interesting sights. The weather is perfect in the low 80’s today. This was taken with my wide angle lens. There is a desert floor trail that leads through this amazing valley of towering red Estrada sandstone formation.